They found out stuff was wrong with my child that her old pediatricians missed clues on several times. Dr. McEntire is absolutely amazing! I’ve been very impressed with Dr. Noel Graham and his staff. They are always courteous and so helpful with my large family and even accommodates my 9 children at a time. Dr. Graham always answers my questions and stays and talks with us as long as needed to answer our questions. Love this group. Not many docs I trust but this group is wonderful! The McCoy family absolutely love the doctors and staff! We’ve been going there since I was pregnant with my first, almost 12 years ago. Dr. Mac is amazing and takes time to listen to everything. He truly cares about my 4 kids. Sometimes he’ll walk in the room singing. 🙂 NP Sherri is amazing as well. The kids love her. Very sweet and loves my kids like her own. The ladies at the front desk are so kind and make our visit pleasant every time. Dr Mac and the staff are the best around. We have been coming here for 15+ years and now on baby #2 for some crazy reason. I would never go anywhere else no matter where we lived!! This is an amazing pediatric practice. We’ve been going to Dr. Graham since my daughter was born 12 years ago and wouldn’t go anywhere else! All of the doctors always take the time to answer your questions and take time with your children. I would recommend them to anyone! We absolutely love McEntire’s office! Anyone who has a child should have them seen at least once by Dr. McEntire to know what a GREAT pediatrician means. Everyone that’s ever asked I’ve referred here & they all agree! Even kiddos agree. At age 3 my daughter was in the ER for asthma issues and asking where Dr. Mac was. Refusing to accept that he wouldn’t be opening the door, she proceeded to holler, “McEntire McEntire McEntire” for hours. She made sure the hospital staff knew who she preferred. 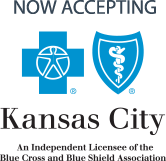 Best pediatrician in the Kansas City metro area! Love this practice. The staff is always so nice and the doctors take their time with your child and explain everything. I would recommend them to anyone! We have been going to preferred pediatrics for almost 7 years. My kids LOVE the docs, and the nurses!!! You (in my opinion) will not find more devoted or dedicated docs who spend time taking care of your concerns instead of you just being another numbered patient of the day. If you feel the front office is unfriendly, perhaps they are having a bad day and don’t realize their attitude or mood. I try to give them a smile and encouragement, because they do answer a lot of calls and try to take care of a lot of paperwork. Dr. Graham and Dr. Mac are tops! My children have been patients of this office for several years. I have seen them grow to a busy office and a bigger building. Still, every time I come in I see familiar faces and everyone is nice. The new physicians seem good, of course we started with Dr. McEntire and he is the best. If I am still seeing faces that I know they have to be doing something right. We love this office. I recommend it to all my friends and family.